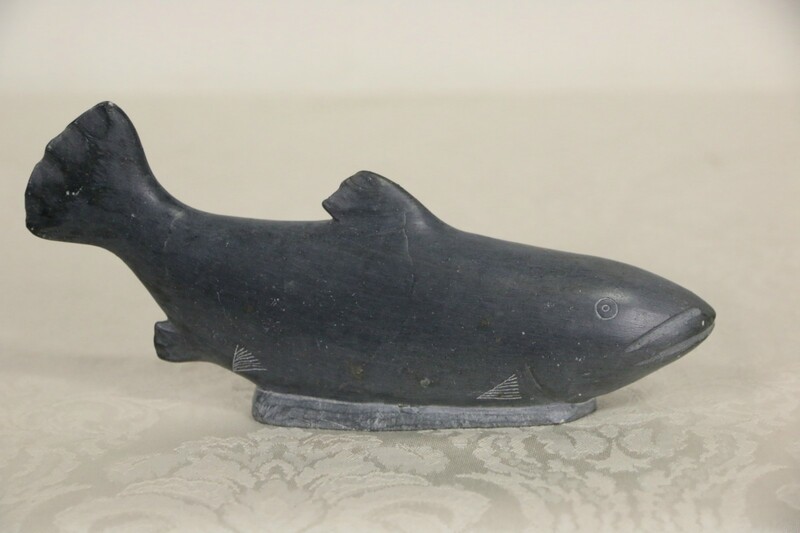 A traditional soapstone sculpture of a whale was hand carved and engraved by an "Inuit" artist, of the Native American people of Canada and Alaska formerly known as Eskimos. There are minor scuffs to this work of folk art, see photos. This collection was assembled 25-50 years ago. Size is 7 1/2" long, 1 1/2" wide and 3 1/2" tall. See 6 photos on Harp Gallery website that enlarge to full screen size.